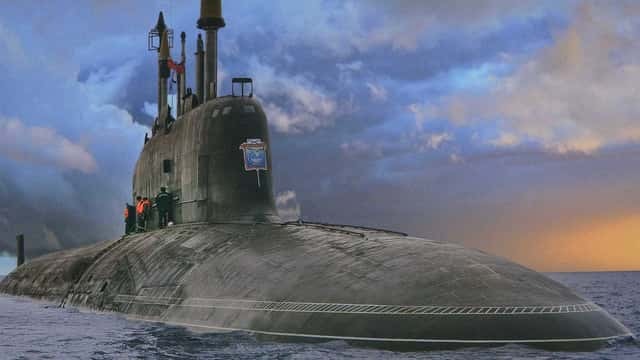 The Russian Navy has a new nuclear attack submarine. It is called the Severodvinsk and it entered service in December 2013. This is a Yasen class submarine that was created to replace the existing Akula and Alfa class submarines. Unlike it's predecessors, this new submarine has strategic and tactical nuclear weapon capabilities. This development was made possible by a new cruise missile. The supersonic, Caliber missile has an amazing flight range exceeding 2500 kilometres. It has been reported that the submarine also carries a second missile with a range of 5000 kilometres. 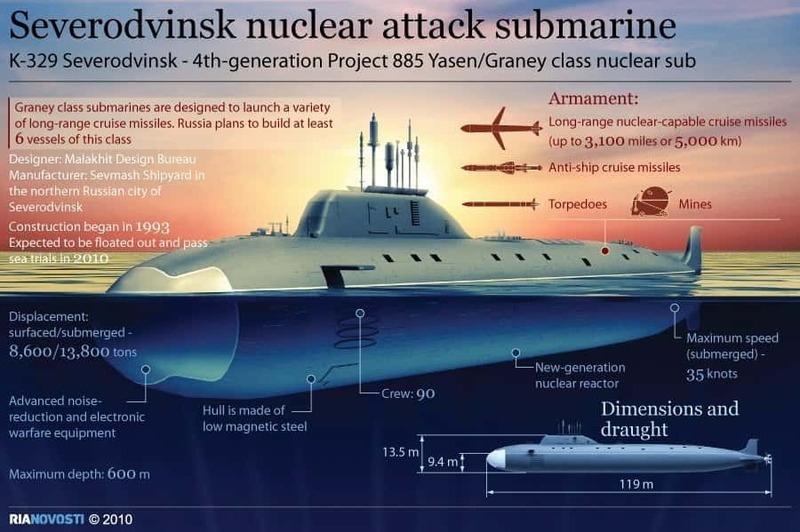 The concept of the Severodvinsk was created in the 1970s and the submarine has been in various stages of developement since that time. There were many budget related issues that delayed it's development, most of these were because of the fall of the Soviet Union. It was originally intended that the Severodvinsk would enter service in the year 1998. 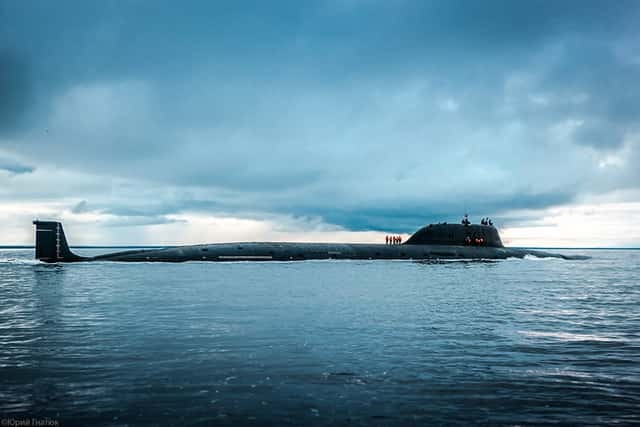 The submarine was completed in 2010 and was then subject to three years of testing before it entered service as part of the Russian Navy in 2013. The Russian Navy plans to have two of these submarines operational by 2015.